SOQS is seeking a full-time, year round Assistant Director who will primarily focus on logistical management to produce the annual Quilt Show and related events. The world’s largest outdoor quilt show includes a week of complex and multi-layered events. More than 500 long-time and experienced volunteers provide labor in more than 800 different volunteer job roles. The Assistant Director works in partnership with the Executive Director and the seasonal staff and experienced volunteers to provide leadership and comprehensive logistical management for the successful production of events. Primary activities involve working directly with community and business partners; outreach, publicity, and promotion; program and event management (logistics and operations); and working with long-time, knowledgeable volunteer teams. 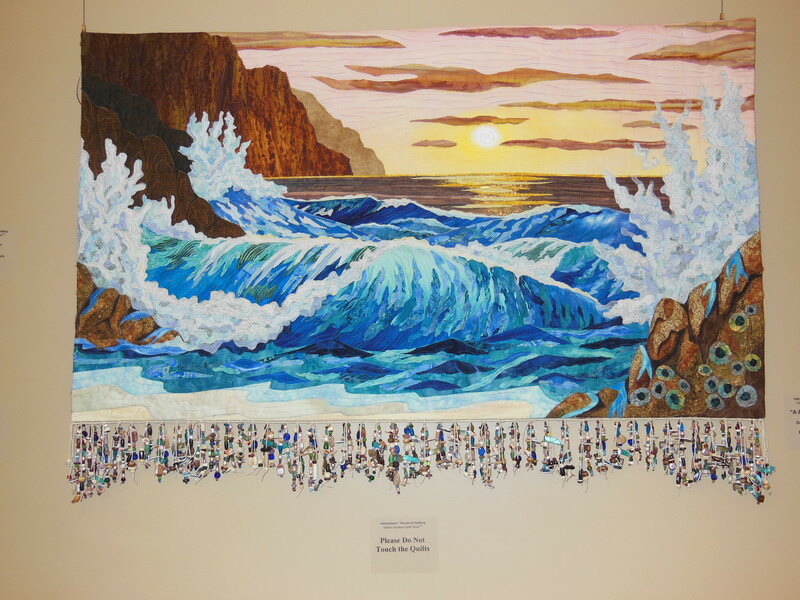 These projects include collaborations among fiber artists, quilters (locally, regionally, and nationally) and culture tourism and community partners in Central Oregon. The prime candidate will have experience producing large, complex events demonstrating daily leadership, strategic thinking, and experience implementing multiple projects simultaneously. Digital experience with online community engagement and social media would be beneficial to someone stepping into this role. The SOQS event cycle means that the role has high peaks and shallow troughs of workload throughout the year. The Assistant Director is expected to manage their time effectively to accommodate the increases in demand. Delivery of a superb creative and artistically beautiful Quilt Show resulting in a festival that is a success for the organization, as well as the community that benefits from the large cultural tourism impact of the show, is a huge reward for the right person in this role. Compensation, schedule and work site details will be negotiated with finalist candidates. To Apply: Please send your application, including name, full contact information, education history, salary requirements and your qualifications and experience, addressing the areas of responsibilities in the job description. Attach resume, references, and samples of either personally-developed written event proposals and/or promotional materials. 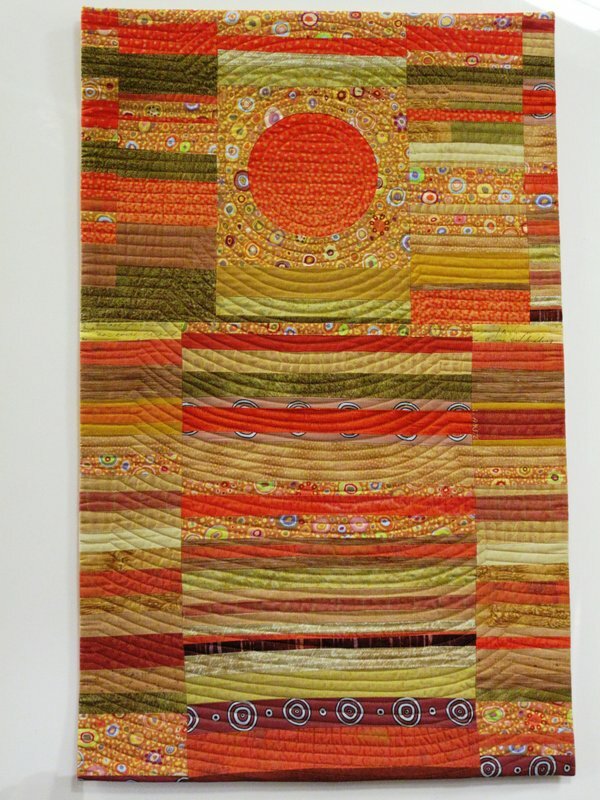 E-MAIL to info@SOQS.org or MAIL TO: Assistant Director, Sisters Outdoor Quilt Show; 220 S. Ash St. #4, Sisters, OR 97759. SOQS is seeking a part-time, year round Administrative Assistant, as the front-office support for the effective administration of the organization. 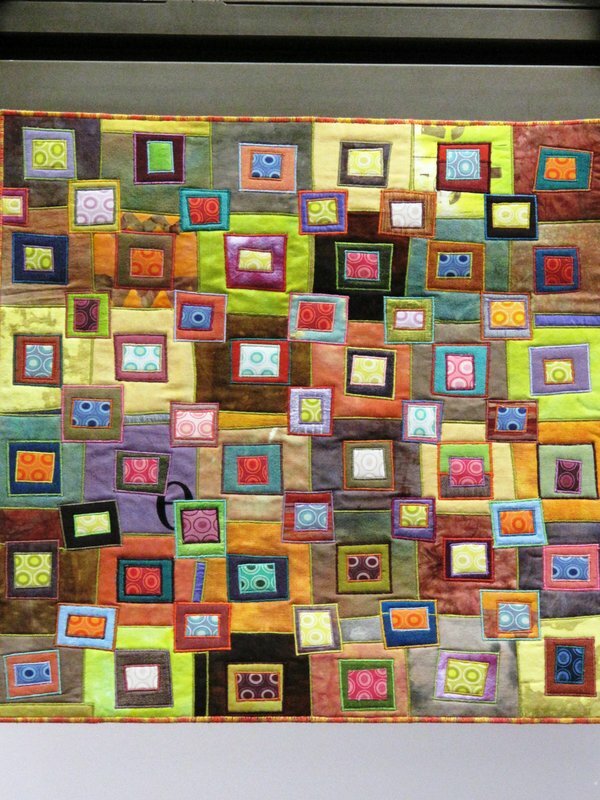 The world’s largest outdoor quilt show includes a week of complex and multi-layered events. More than 500 long-time and experienced volunteers provide labor in more than 800 different volunteer job roles. 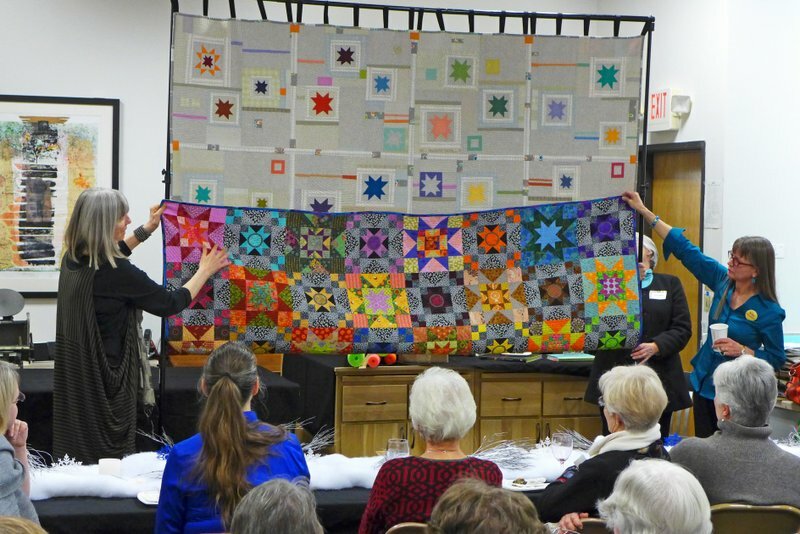 The Administrative Assistant reports to the Executive Director, and works with the seasonal staff and experienced volunteers for the successful production of the annual Sisters Outdoor Quilt Show and related events. The prime candidate will have administrative experience including Microsoft Office, project management software (such as Basecamp), and Access Database experience. Digital experience with online community engagement and social media would be beneficial. The SOQS event cycle means that the role has high peaks and shallow troughs of workload throughout the year. The Administrative Assistant is expected to manage the workload and their time effectively to accommodate the increases in demand during high-peak season. Compensation, schedule and work site details will be negotiated with finalist candidates. To Apply: Please send your resume, including name, full contact information, education history, salary requirements and your qualifications and experience, addressing the areas of responsibilities in the job description, by December 22, 2014. Attach resume and three references. E-MAIL to info@SOQS.org or MAIL TO: Administrative Assistant, Sisters Outdoor Quilt Show; 220 S. Ash St. #4, Sisters, OR 97759. 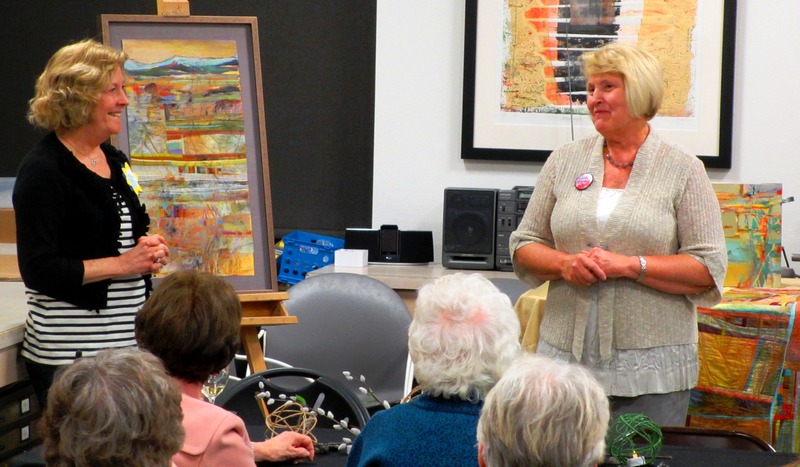 In partnership with the Art in the Atrium @ Franklin Crossing, the Sisters Outdoor Quilt Show kicked off its third annual Fabrications – The Art of Quilting Exhibit at the First Friday Art Walk in Bend on March 7. 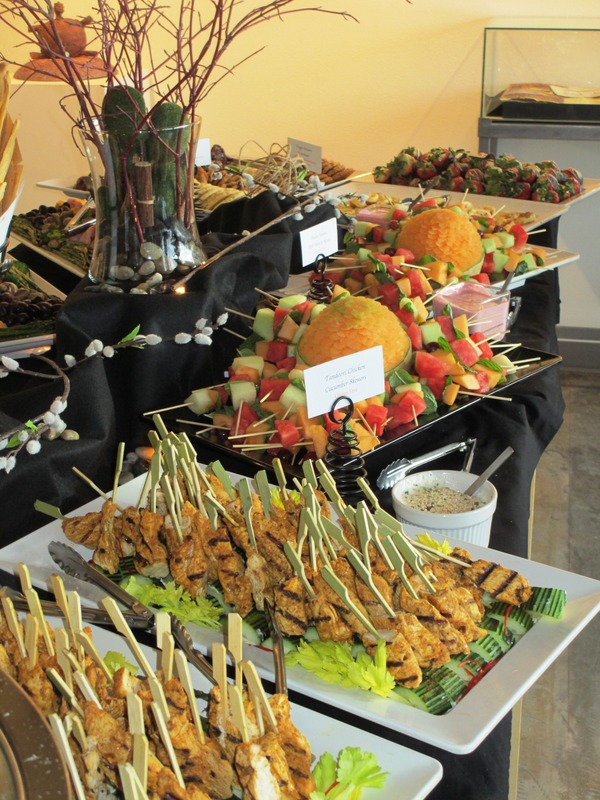 Attendees at the reception were able to mix and mingle with more than 15 quilt artists, enjoy live music from Jazz Bros!, and indulge in savory appetizers from Noi Thai. It was a fun and lively evening paying tribute to the artists and their artistic vision. Visit our Facebook page for a complete library of photos. I Took the Challenge . . . .
. . . have you? 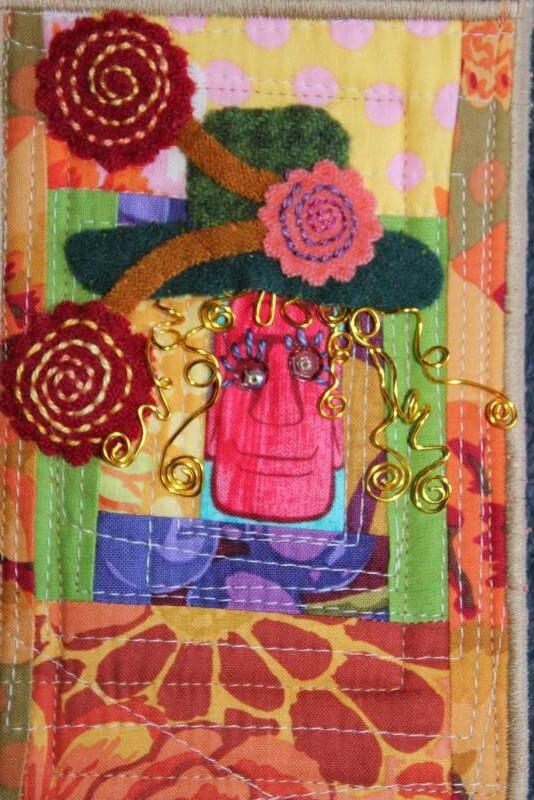 The SOQS announced a Call for Fabric Postcard Entries for the Wish Upon A Card project. 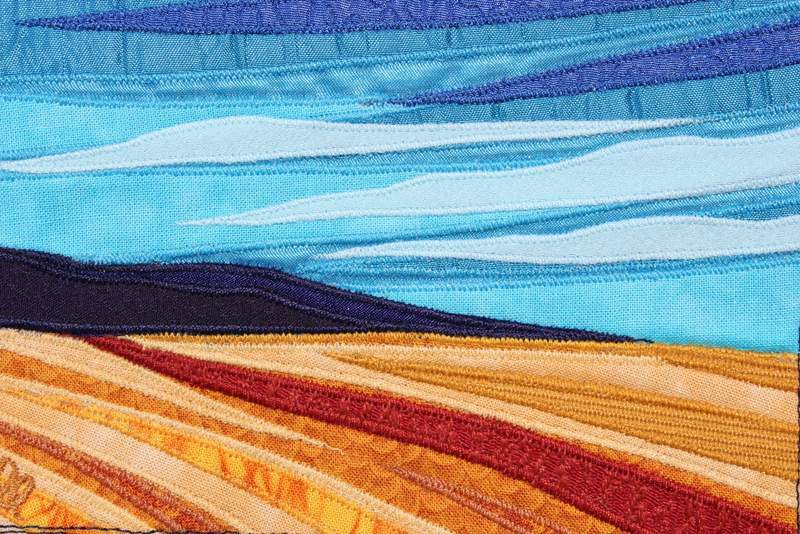 The” skies the limit” in regards to the design of the 4″ x 6″ card, using any type of fabric BUT there is also an optional Challenge – these cards must incorporate the Michael Miller Challenge Fabric (and SOQS will provide the fabric swatch). Yes, I’m taking the Challenge. As a SOQS employee working directly on the project, I do NOT qualify for any of the cash prizes – I just enjoy trying something new. 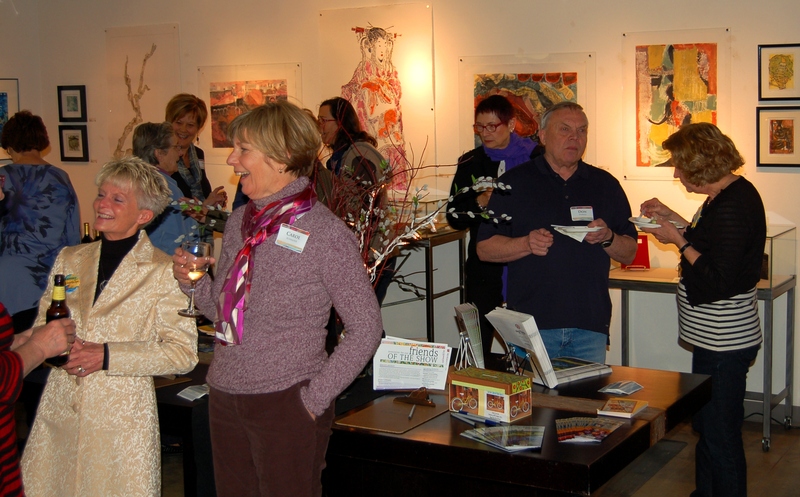 For an entry to be juried for the Silent Auction or the Michael Miller Challenge, it must be received by April 15th. Please note all entries are donated to SOQS as a fundraiser for Wendy’s Wish. 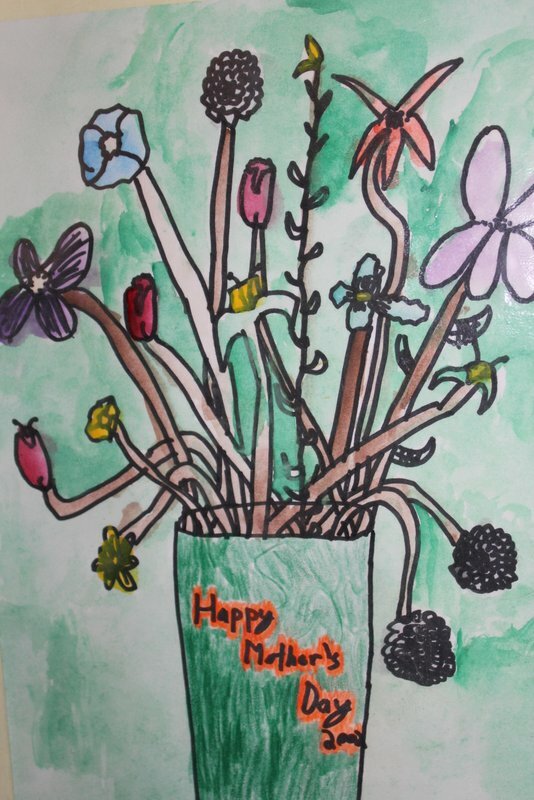 The inspiration I’m using for my card comes from the work of American artist William H. Johnson referred to as “Flowers” and artwork from my son, Forrest, when he was in second grade – yikes, that’s 12 years ago! I was first introduced to Johnson’s work via a U.S. postage stamp released in 2012. 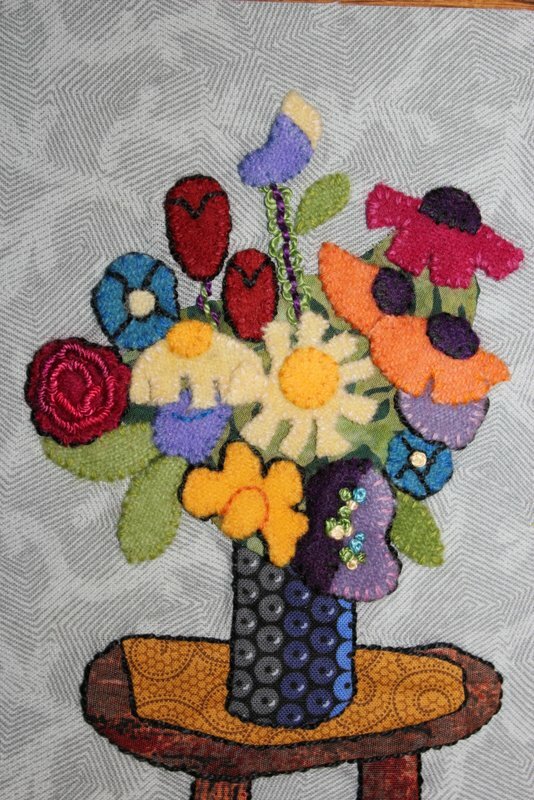 Another challenge – I plan to add textural stitches demonstrated in Sue Spargo’s book – Creative Stitching. Many of the stitches are new to me but I’m looking forward to learning as I travel this path. Next month, I’ll share the finished card along with the experiences I encountered along way. Happy trails on your creative journey.